Lucy admonished Natsu for just hearing what he wants to hear. 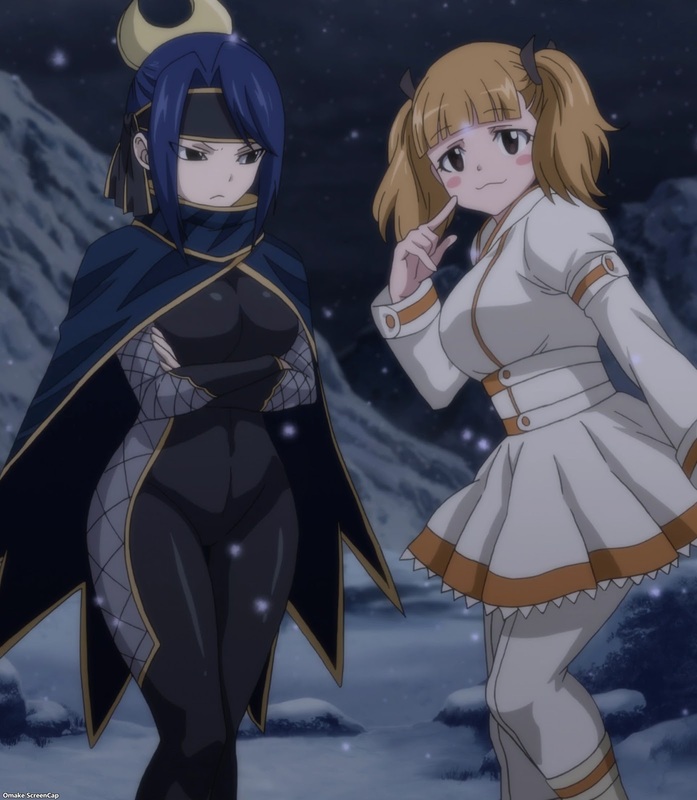 As Erza got so pissed off she defeated a Spriggan 12's magic with one look, Brandish explained to Fairy Tail that there was one other Spriggan 12 besides August who was invincible - Irene Belserion, who just may be related to Erza somehow. 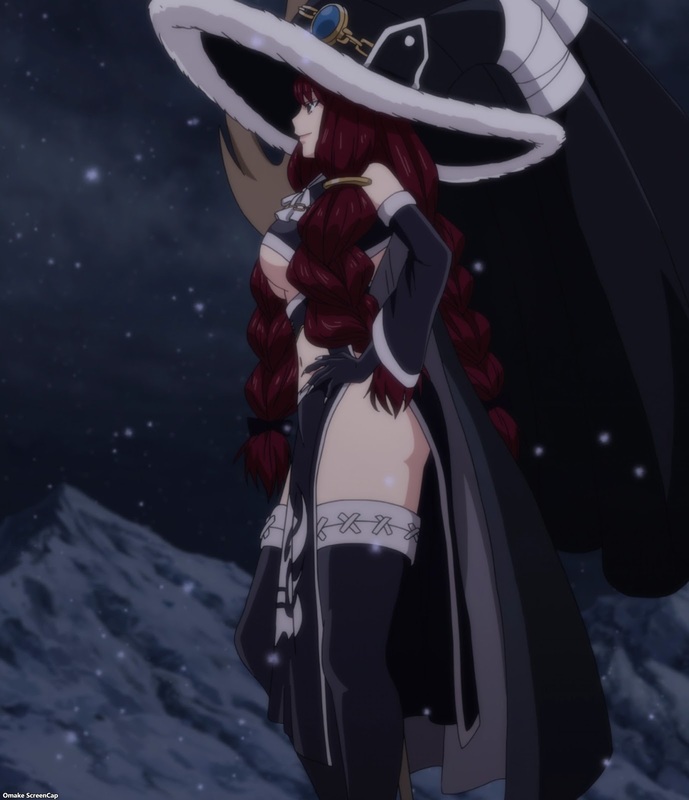 Jellal defeated Neinhart and the other mages mopped up the soldiers or recovered in the infirmary. 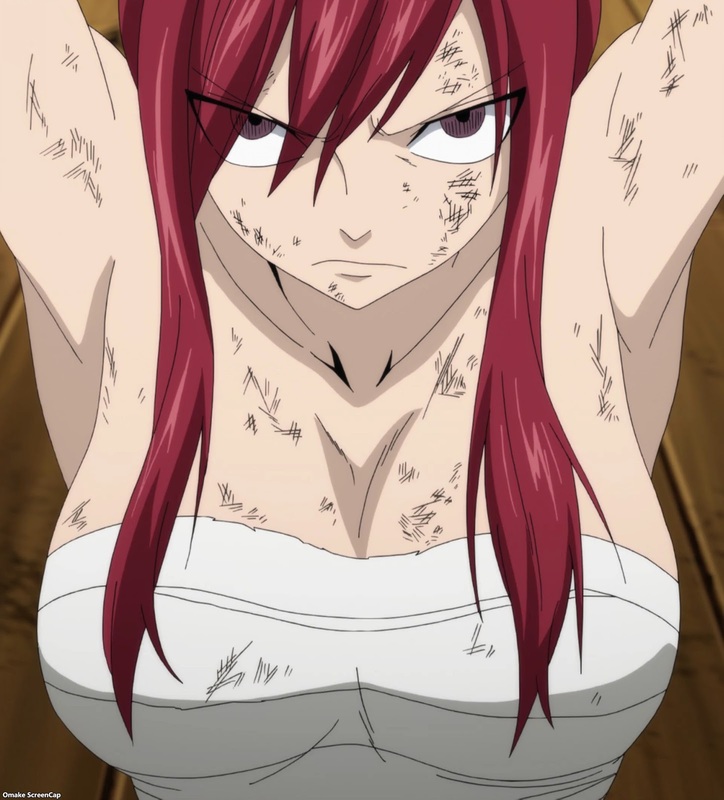 Kagura had to "repay" Erza for giving Jellal mouth-to-mouth resuscitation, stunning Juvia, Gray, Wendy, and Charle. Dimaria languished in prison over Brandish letting herself get captured. In the North, Irene, with her attendants Heine and Juliet, made her way down the mountain to the next battleground, and she flashed just a bit of her "warm" magic by making flowers bloom in the snow covered fields.